Because we don’t see it often enough, Lok Lok is (and always will be) one of the most convenient way to eat a skewered variety of… everything. Deep fried, barbecued, dipped in boiling soup — however you like it. We’re just somewhat curious about the country’s nonchalant response since it’s an island that tends to magnify food trend(s) in a brace of shakes. That enigma apart, Zaolek@Kovan braved through the storm of probability and seat itself proudly within Paya Lebar Kovan CC, blocks away from Kovan’s Heartland Mall. Whether you’re there to have full-on attack on the skewers buffet or just looking to enjoy a few skewers at your own pace A La Carte, this charming joint has bottled beers and even selections of fish head dishes fit for your enjoyment. Certainly packs a lot of personality. Let us rewind a little: the culture of Lok Lok begins with those who ventures into our friendly neighbouring country for a quick pump of gas or for a shopping spree. Then they’ll stop by this street food vendor truck filled with loads of skewered things — bacon, broccoli, squid, shrimps, etc., pick up a few sticks, hand them to the vendor, have them lok in boiling water, then enjoy them. 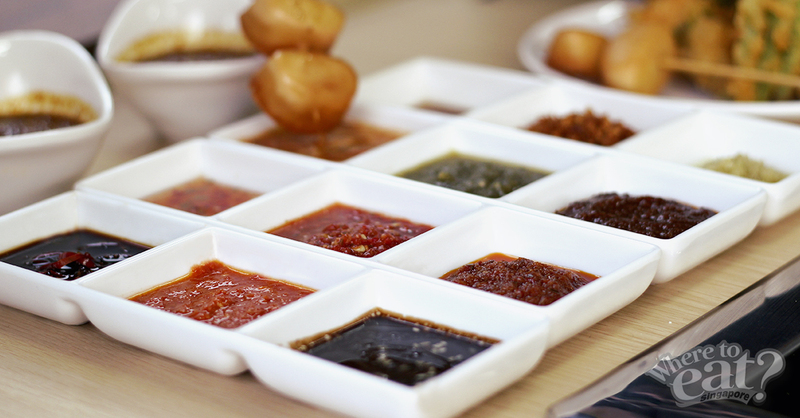 Zaolek served up a total of 6 soup bases, with more than 10 sauces unlimited for your dipping and unmentionable amount of Lok Lok variety. 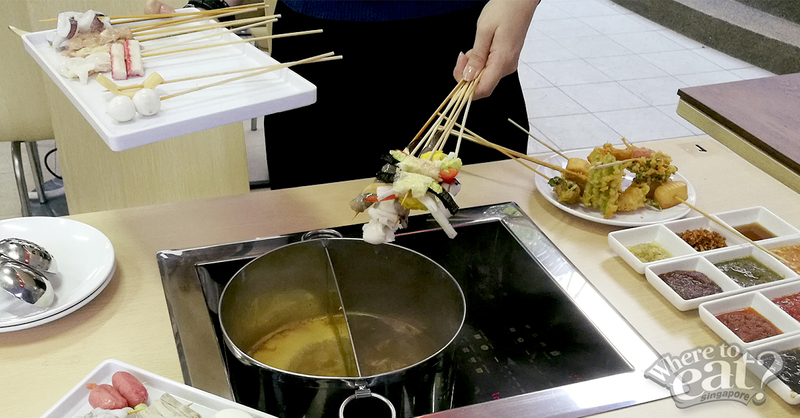 We watched our skewers bubbled mercilessly in the the gloriously spicy Tom Yum (we loved it!) and highly recommended Satay among the other choices like Chicken, Laksa, Ma La and Bak Kut Teh. Still not sold? What about crunchy deep-fried vegetables that taste nothing like vegetables, tender pork belly laced with a thin layer of oil and char? 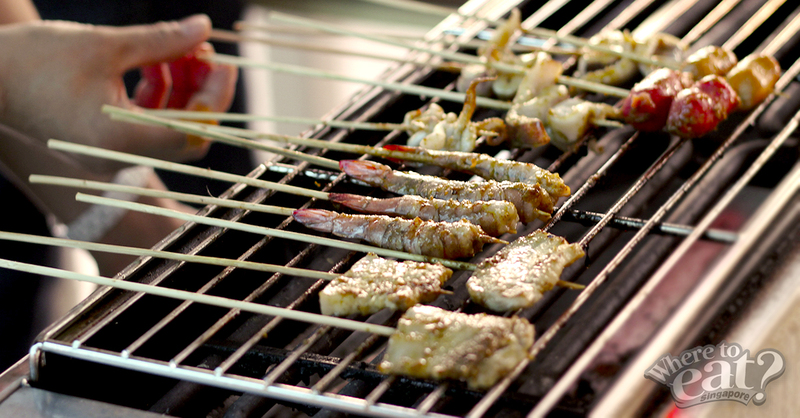 Gather a couple of skewers that will look great charred or fried and hand them over to the staff while you put your feet up and just wait. Brilliant service for the lazy ones. With over 10 spices pooled into creating the delicious coating, your Lok Loks are grilled fresh and distinctively sinful. But we assure you there’s nothing to regret about. You’re definitely welcomed to watch as they expertly cook your skewers to perfection, just be careful not to drool when the aroma catches you off guard! 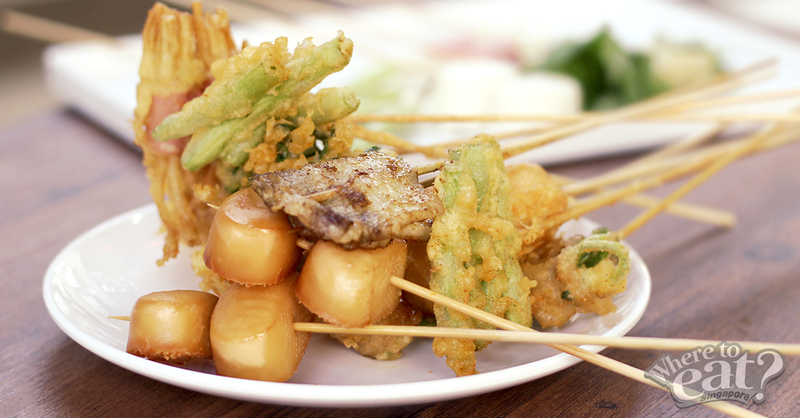 For something with a little more crunch, grab a few sticks and have them deep fried. 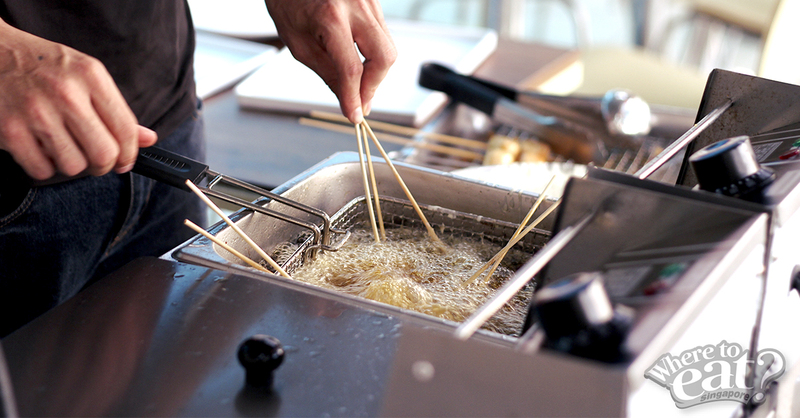 With their own tempura batter, these food are unsparingly dropped into the fryer and scorched to an unforgiving crisp. Even the vegetables were not spared. Unsure of what’s better for grilling or frying? Worry not as the seasoned staff helps you decide, making the best of your skewer gobbling experience. Sauces here plays a big part. With 9 types of sauces, we know for sure it’s no joke. As told proudly, all of their sauces are homemade, and no it’s wise not to skip it. From the fresh Hainanese chilli to the chilli crab sauce, one dip and it wakes the taste up. Oh, did we mention free flow ice cream and selected choice of beverages? Yeap, now we did. Go on and book yourself a reservation, especially on weekends. Don’t say we didn’t remind you.